← Action are…just that, actions. 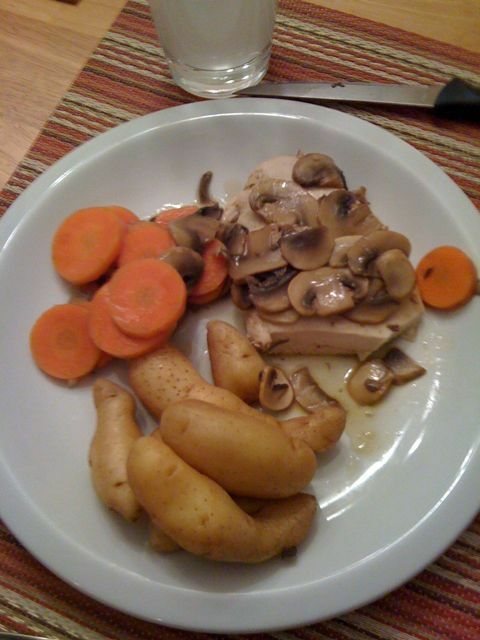 Here is the mushroom poached chicken with fingerling potatoes and carrots. This was a recipie from the Whole Foods ap. Because you cook everything is poached in the same liquid, it kind of all tastes the same. If there is a next time, I’ll just poach the chicken and make the sauce and cook the potatoes and vegetable some other way.